It’s likely that versions of this query still run through the president’s mind — and that he often finds himself coming up short, despite his public bravado and the loopy, ill-informed self-assurance he displays during pivotal moments such as his national emergency speech in the Rose Garden. That explains why he constantly spins his narratives toward success even in the face of obvious failures. To admit defeat is to admit he’s not walking the walk. 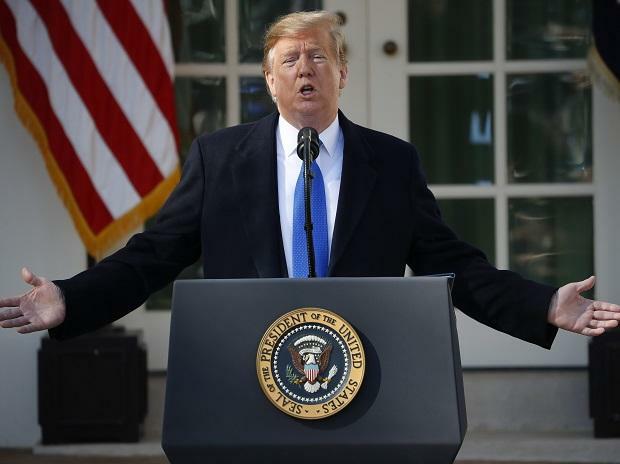 To that end, the White House released a document on Friday titled “President Donald Trump’s Border Security Victory” a day after Congress passed a spending bill that didn’t fund the border wall Trump demanded. The memo described the bill as a “legislative win” for Trump and outlined his intention to take executive action (and end-run Congress and the Constitution) by raising funds for the wall unilaterally. It was inevitable that Trump would refuse to be stymied by Congress, and that he would take a victory lap regardless of what happened in the real world. In that context, his border-wall machinations are only partially about appeasing conservative pundits or his political base; for the most part, they’re about appeasing his sense of himself. He’s been doing this sort of thing his entire life: Spinning victory yarns from incontrovertible losses was a hallmark of his troubled business career. Warren Buffett, who actually is one of the smartest people in the country, made fun of Trump’s business failures during a film and a live skit he performed in at Berkshire Hathaway’s annual meeting in 2005. An actor played a sobbing Trump, distraught over bad headlines about his bankruptcy, and he was gently consoled on stage by a sympathetic Buffett — until Buffett realized that someone as self-made and successful as he is actually has nothing in common with Trump, and the skit ended. This kind of stuff can be found even further back. In 1983, Trump bought into the nascent United States Football League. Although the USFL was trying to avoid a head-on confrontation with the National Football League by playing in the spring and was trying to keep a cap on salaries to keep its budgets reasonable, Trump pushed the league into fall play, began tossing out lavish salaries, and spearheaded an unsuccessful antitrust lawsuit against the NFL. The USFL, and Trump’s franchise, the New Jersey Generals, collapsed in 1986. Trump blamed his fellow USFL owners for the debacle rather than acknowledging any of his own missteps, in much the same way he has blamed others in the GOP for his lack of border wall funding. He also was indifferent (then as now) to the impact his fumbling had on those around him. In a similar fiasco, Trump overpaid for the Eastern Air Lines Shuttle in 1989, using borrowed money and bringing no previous experience running an airline to the deal. He rechristened it the Trump Shuttle and then proceeded to make a number of operational errors, including installing gold-plated fixtures and other private-jet features that made little sense for a no-frills airline. Trump lied in one of his books, 1990’s “Trump: Surviving at the Top,” that the Shuttle under his management was profitable. “I’m glad I saved it. I’m proud of the way it’s been improved. It is now the best,” he also wrote. The Trump Shuttle went bankrupt in 1992. Because Trump was unable to develop Television City or pay the property’s debt back, his banks forced him to sell it in 1994. He wound up with a lucrative stake in property someone else controlled, but he missed out on becoming a truly major New York developer. It was only after Trump recognized in January that he was being consumed by a government shutdown he set in motion — and that he had been politically emasculated by a woman to his left (House Speaker Nancy Pelosi) and to his right (pundit and firebrand Ann Coulter) — that he fully embraced a border wall as his last stand. Now that he’s declared in a Rose Garden speech that building such a thing actually might not be due to an emergency (“I didn’t need to do this, but I’d rather do it much faster,” he said) but that he’s wiser in the ways of the world (“I never did politics before, now I do politics,” he said), what can we expect next? Trump is cornered and outmaneuvered, so we’re likely to get more of the same as he continues to test the Constitution and the boundaries of presidential authority: constant spinning about winning, even when the losses are apparent.